In 2085 A.D., armored warfare is faster and deadlier than ever. Hovercraft speed over the battlefield. Tanks use tactical nukes. Infantry is equipped with battlesuits of incredible firepower. But they all fear one weapon . . . Since 1977, Ogre has been one of the best-loved tactical ground-combat games. The simplicity of the mechanics, the speed of play, and the sheer scale of the conflict made the game an instant classic. In 1992, rules for using miniatures were released. 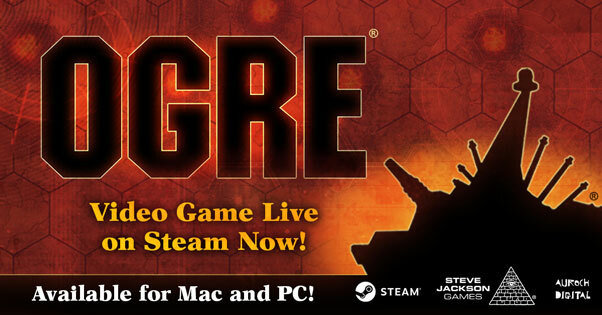 Now, Ogre Miniatures returns, in digital form, with all the firepower of years of development. 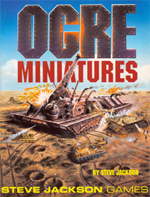 You get the classic Ogre Miniatures, with all the rules needed to recreate the nuclear battles of the future, plus errata, addenda, and FAQs. Also included are record cards for all known cybertanks – from the first Ogre, the Mk. I, to the mighty Mk. VI. New in this release are hypothetical stats for the Mk. VII! If you already own Ogre Miniatures, we're happy to offer the Update by itself, free, to add the decades of new material and clarifications to your existing Ogre game. If you're ready to start building an army, check out the Ogre miniatures pages on Warehouse 23.